Managing type 2 diabetes is concerned in lowering the blood sugar level by strictly following the planned diet by the dietitian and through regular exercise. Usually, an initial oral medication may suffice to correct the insulin defficiency. 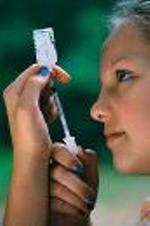 Since type 2 diabetes is progressive in nature, insulin injection may be necessary as a means of managing the disease. Aside from the required medications, diet and exercise, the matter of managing type 2 diabetes should have the support of family, friends, diabetes educator, doctor, dietician and other healthcare professionals in order to motivate the diabetic to manage his or her disease. Type 2 diabetes being the most common is usually true among obese persons and older individuals due to their tendencies for lesser activity. 1. Keeping a check on glucose level. The glycosylated hemoglobin (HbA1c) is the average of the blood glucose level for a period of 3 months. The recommended HbA1c by the American Diabetes Association (ADA) is less than 7%. 2. 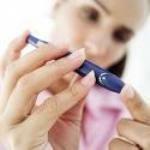 Upon being diagnosed with type 2 diabetes, a prepared diabetes education program should come in handy. This will equip the diabetic on how to handle hypertension, obesity, renal impairment, diet and the determination to have a regular exercise program. 3. A well-planned dietary meal should be based on a per patient basis as prepared by a professional dietitian with an extensive knowledge in diabetes. 4. Regular exercise like walking or jogging is needed . Start from 30 minutes to 1 hour daily, in order to improve the blood circulation and insulin sensitivity. 5. Blood lipids should be done at least annually to abort the build up coronary heart disease. The blood test should include total cholesterol, triglyceride, low density lipoproteins (LDL) or bad cholesterol and high density lipoproteins (HDL) or good cholesterol. 6. The doctor may recommend a daily low-dose of aspirin (75 mg) or clopidogrel if there is aspirin intolerance as an anti-thrombotic therapy to reduce major coronary problems like angina (hardening of the heart arteries) as an example. 7. See an eye specialist for an eye check up if there is damage to the blood vessels of the retina or diabetic retinopathy at the time of being diagnosed with diabetes. There is a 90% probability that the vision will be retained before the retina is damaged but this will lead to blindness if not immediately treated. 8. The foot should be inspected daily for signs of sores, bruises, redness and cuts. Diabetes affects the blood vessels and nerves resulting to poor blood circulation thereby lessening the ability to sense injury. 9. Also, flu vaccination is needed to deter the development of other ailments which might give rise to contra-indications in medications. 10. As a diabetic, one should keep abreast with the results of recent scientific researches and studies that can further improve the diabetic’s treatment. Managing type 2 diabetes will prevent the complications brought about by the disease allowing for a longer life of existence in the best conditions possible. Alvin Hopkinson is a leading health researcher in the area of natural remedies and weight loss. He had published many health articles online, is a platinum expert author in EzineArticles and writes for Health Central, which is a leading health authority website.